‘Nuff said, right? Well, you’ve got to see it to believe it; check out the ad in our Movies & TV section. Mr. Chan’s work for Austrian Railways is just one ad we’ve posted today. Others include a couple of German commercials for Nivea, for “Body Milk” and for some sort of soccer giveaway. 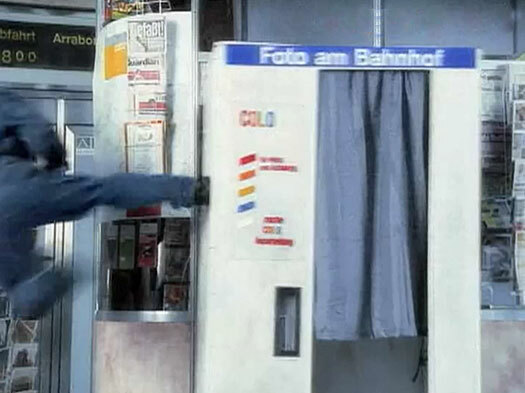 Next, we’ve got “Stilbruch,” a German television piece about photobooths, featuring the men behind Photoautomat. Next, a music video from France, “Salo‐Maso,” by Najar and Perrot. Next, a couple of brief photostrip appearances in Banksy’s Oscar‐nominated documentary Exit Through the Gift Shop. And finally, thanks to Olivia Pintos‐Lopez for letting us know about a photoshoot she organized for an online publication, Small Magazine, using photobooth photos taken in a black and white booth in Melbourne, Australia. Stinky Toys, by the French punk band Stinky Toys. “Quints by Surprise,” in which the family squeeze into a photobooth at an Amy’s Ice Cream location in Austin, Texas. 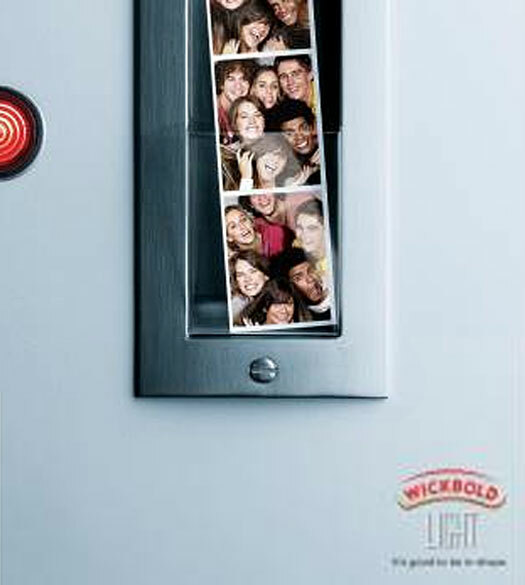 A JCPenney spot partially set in a photobooth. 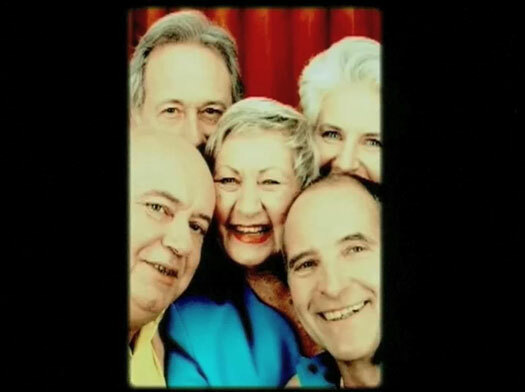 A series of three commercials for French social security, all set in a photobooth: Rene, Paul, and Philippe et Isabelle. Emily Blunt in a photobooth in Interview Magazine. 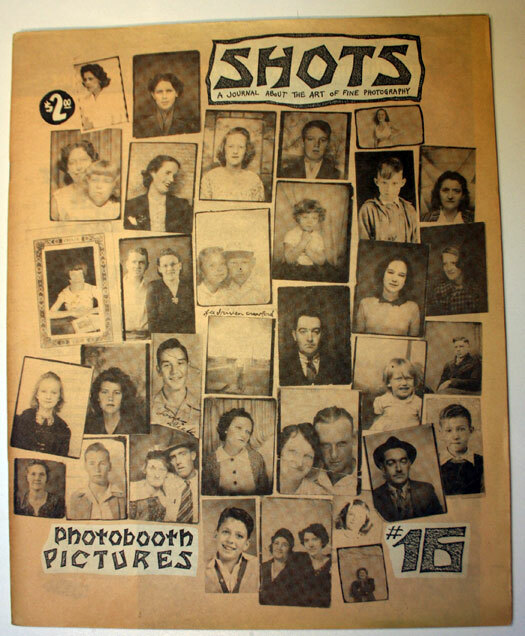 Shots: A Magazine about Fine Photography, a 1989 large‐format photography zine special issue dedicated to photobooths. Over the past five years we’ve collected a lot of photobooth‐related stuff, much more than we can get to on a regular basis, and the To‐Do List tends to pile up. Over the last week or so, we’ve had a chance to get a whole passel of material online, from TV shows and movies to commercials, print ads, music videos, and photobooth locations. In no particular order, here they are. Enjoy! 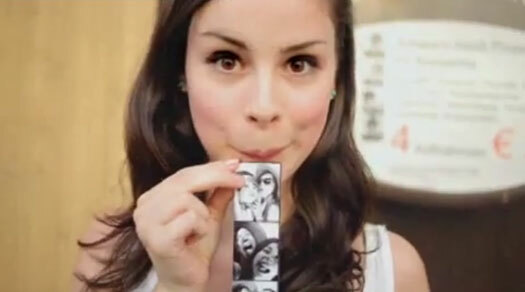 A commercial for Fruit Gushers in which kids’ massive fruit‐shaped heads make their photobooth tip over. 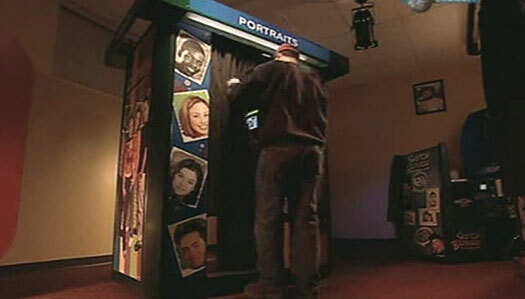 An episode of “How It’s Made” that shows how a digital photobooth is assembled. 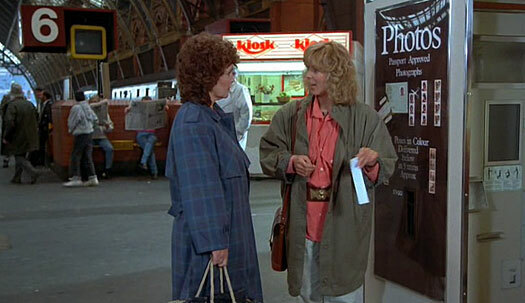 The 1989 Lewis Gilbert film Shirley Valentine, with a railway photobooth sequence. Low Water’s video for “Sister, Leave Me”. Dave sent me the video and a nice note back in 2008; my apologies for not getting to this for far too long. The 2008 opening titles of “Neighbors,” now with more pseudo‐photoboothiness. The film Onion Underwater, for which we have only a few images from the trailer. 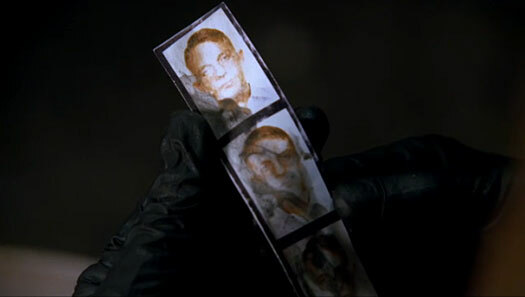 A few glimpses of a photostrip in an episode of Fringe. An ad for Will Young’s album Let It Go, as sold by Tesco. Science World’s Photobooth of Doom. Wickbold Light Bread from Brazil. 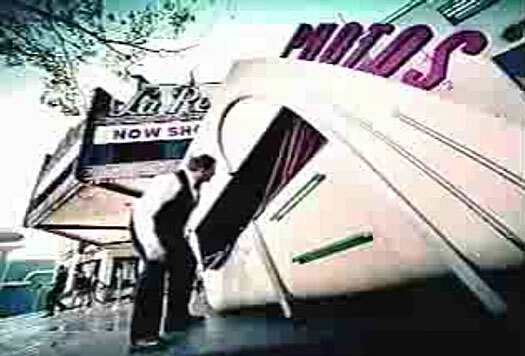 The 2001 animated short fim Autofoto. The booths (Helsinki Railway Station II and Helsinki Railway Station III) are located in the west entrance of the station. One of these may be the first booth I found in Helsinki in 2005, moved to a new location within the station. We’ll be back with more goodies in the coming months. 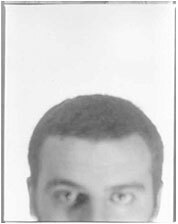 Please keep your contributions coming, as we continue to build our database of all things photobooth. We’ve been seeing and hearing quite a bit about The Dead Weather recently, a new collaboration among Jack White of the White Stripes, Alison Mosshart of the Kills, Dean Fertita of Queens of the Stone Age, and Jack Lawrence of the Raconteurs (another Jack White project). 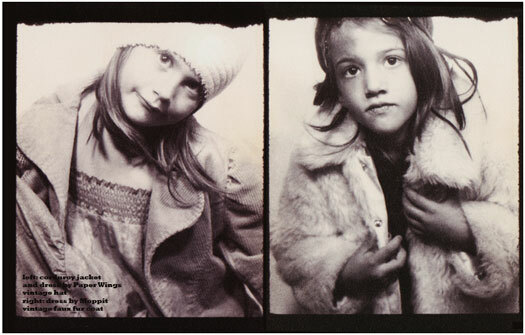 When their first single was released online, the accompanying music video, for “Hang You from the Heavens,” was shot in a photobooth. The winners will receive an all expenses paid trip to tour Jack’s factory, Third Man Records in Nashville, TN. The winners are given round trip airfare, two night hotel accommodation, and ground transportation. The winners are also allowed a plus one for the duration of the trip. The last chance to redeem is August 15th. The contest is publicized on the band’s website, where you can view the video. Readers might remember that the Kills have also used photobooth photos in their album covers, and have several hundred photostrips featured on their website. I can’t seem to determine if the episode ever aired, as it’s not available on ABC.com or via any other less legal means, but a February taping of Extreme Makeover: Home Edition took place at the Hughes home in Louisville, Kentucky, and a black and white dip and dunk photobooth was installed in one of the boys’ rooms. A Louisville Courier‐Journal article describes the home, and an accompanying video shows the booth as an integral part of the photo‐centric bedroom. Also, thanks to Chris F. for pointing us to the new video from Million Dollar Strong, made up of Mike O’Connell and Yoshido, a.k.a. Ken Jeong, the doctor from Knocked Up. Check out the moments from the video featuring the Bar 107 photobooth in our Music Video section, or watch the video on YouTube. The blog at Modern Mechanix has featured two blasts from the photobooth past recently: first, an article about Anatol Josepho from 1928 titled “Penniless Inventor Gets Million for Photo Machine,” and second, a shorter piece about the invention of the Photomatic machine: “New Automatic Machine Delivers Metal‐Framed Photos.” It’s great to see these hard‐to‐find magazine pieces archived, at least for now, on the web. And finally, thanks to Tim, each of our photobooth locations now features a nifty Google map right on the location page, to make your photobooth‐hunting even easier. One of our favorite photobooth locations, Faces in Northampton, Mass., has replaced their color booth with a black and white machine. Grammy winner and tabloid idol Amy Winehouse was snapped carrying a framed set of photobooth photos out of her London abode as she prepared to move to the country; apparently this is big news, and you can find photos of the photostrips on this blog, and this one, and on the Daily Mail’s site. McCartney’s brand blitz at Selfridges isn’t just about commerce, however. Caricature artists will be on hand to draw customers’ portraits throughout the two weeks, and a one‐man band commissioned by McCartney will play. The designer will also install a vintage photo‐booth on Selfridges’ second floor, in which customers can take a shot of themselves for 1 pound, or about $2, which will be donated to the Red Cross. McCartney will make a personal appearance during London Fashion Week on Feb. 13. As long as we’ve been running Photobooth.net, which is just about two and a half years now, we’ve been planning a section devoted to photobooths in music. It’s a natural corollary to our looks at movies, television, and printed media, and it’s a topic that is rife with fascinating examples. We’ve always had a sub‐section devoted to music videos, but with the head start we had on the movies section and the photobooth directory from the predecessor to this site, we had more than enough to work with, and music went by the wayside. Well, after much organizing, gathering, and stalling followed by working, we are pleased to present our latest effort, Photobooths in Music. The section is divided into three categories. The first is an expanded and updated look at Photobooths in Music Videos, from Madness and Elvis Costello to Jessica Simpson and Natasha Bedingfield, with a lot of interesting bands and musicians in between. The second section takes a look at the use of photostrips, and to a lesser extent photobooths themselves, in album art, on the covers and in the liner notes of LPs, CDs, and other recorded media. These run the gamut from well‐known classics like Liz Phair’s Exile in Guyville to more obscure works like Electrelane’s single for “The Bells” and “Photolab 9000″ by the Swedes. 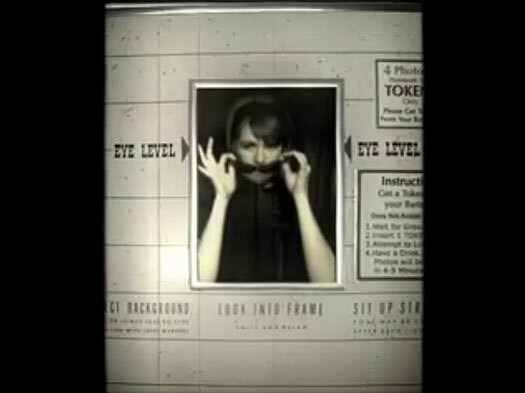 The final section examines the role of photobooths in song lyrics, ranging from a passing reference in a lyric to the title and subject of a song. From mega‐bands like U2 to singer‐songwriters like Elliott Smith, musicians have used the idea of the photobooth and the photos it produces to convey a host of different ideas and feelings. 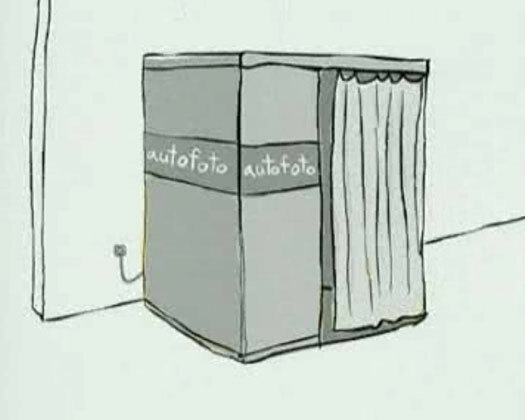 Bands like The Books and Death Cab for Cutie have even named songs after the photo‐making machines; my new favorite is “Photobooth Curtain” by School for the Dead. We’d like to thank everyone whose contributions have added immensely to our store of knowledge, and we’d also like to acknowledge and thank Mr. Mixup, who will be curating the Music section along with us, as we owe many of the items in this new section to his years of research and collecting. We know that what we have is by no means definitive, and we hope the launch of this new section will spur a thousand contributions from readers to help us make it more complete. With that, please, enjoy Photobooths in Music. Twin Cities‐born and Brooklyn‐based The Hold Steady have placed a solicitation for black and white photobooth pictures on their website, in preparation for production of their forthcoming single. The band will use the photobooth pictures for the artwork on their forthcoming new single as well as in the marketing for the release. The post comes complete with a link to a release form PDF to be filled out by the contributor. Let us know if any loyal readers submit their photos to the band. We look forward to seeing the results, and now have one more reason to get our Music section started. We’ve made some additions and updates to the site this weekend, including three new (and one upgraded) music videos. Above, scenes from the first music video on the site, Aerosmith’s Crazy, as well as Jeremy Burgan’s Can You See Us? We’ve got much improved images from Crazy, and we’re happy to have Burgan’s video, which we saw being made out at the Cha‐Cha Lounge one night, on the site. Below, we’ve got scenes from Modlang’s Factory Hour and Natasha Bedingfield’s Single, one from YouTube and one in high‐def. Oh well, you take what you can get. Also this week, we’ve got new locations in Long Beach, California, as well as three more Amy’s Ice Creams shops (one, two, three) in Austin, Texas. And finally, a new example of a photostrip in TV, from Edgar Wright and Simon Pegg’s pre‐Shaun of the Dead/Hot Fuzz effort, Spaced. Never more so was this the case, than with the punk generation. Like punk, the machines were cheap, instant and easy to operate, once inside, there were no rules, perhaps the only time the subject could be in total control of the image they portrayed to the rest of the world. Each hair colour caught, new relationship captured. Self‐concious, self portraits of the not so blank generation. Check out the project online and in various galleries and museums in the coming year.